Is A Do It Yourself Marketing Strategy Smart? Is A DIY Strategy Effective? Do it yourself strategies no longer let you be competitive. To learn why doing it yourself can be harmful. 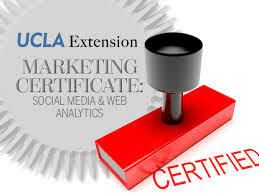 A Certified Digital Marketing Agency. The truth is that a do it yourself marketing plan is no longer as effective as it was five plus years ago. This is now a trap that many business owners get caught in to their own detriment. Think about how much time this strategy takes from your normally productive schedule. Think about the skill set required to be as effective as possible. Do you think it makes sense that your attention is now drawn away from what you do best and what made you successful in the first place. This is a growing problem. The solution is finding, then partnering with a certified, professional inbound marketing agency. Watch this video to see how real time data supports this reality. Just complete the form on the right and we will provide access to this enlightening video.